CarGurus has 2,581 nationwide CC listings starting at $2,900. Due for a complete overhaul any year now, Volkswagen’s midsize executive sedan gains just a couple new wheel designs for its seventh year in production. Technically the CC is due for a redesign this year, but the company is apparently opting to test fresh tech over the pond first, leaving the future of this dignified 4-door with much room for imagination. Overseas the CC or “comfort coupe” has been a variant of the Passat, only recently adding a CC variant for the Golf, which is also gaining an all-electric powertrain just like our Golf States-side. Whether our CC will merge with the Passat or offer a 2-door variant or all-electric drivetrain are purely up to speculation at this point. Volkswagen is keeping a tight lid on the CC’s future in North America. Early in 2014 the regional company President indicated the next-generation CC could be built in the Chattanooga, Tennessee, plant, but mum has been the word ever since. The delay in releasing a next-generation CC could be chalked up to outfitting either the Chattanooga or Mexico plant for North American production, but that leaves the possibilities wide open for what may change. For now the CC is still imported from Germany, and if it were to stay that way for the next generation then we can expect changes similar to the Euro-spec Passat CC and Golf CC. For now we have essentially the same CC in 2015 as we did for 2014, excepting a couple newly optional wheel styles. That means the V6 4Motion Executive is still the only trim with all-wheel drive (AWD) and a Dynaudio sound system, the Sport is the only way to get at the optional 6-speed manual transmission, and the CC overall still doesn’t try to compete with intelligent driving technologies like blind-spot monitoring and parking assist that Ford includes in its Fusion, just as one example—but that isn’t to say the CC is any less surprising for its sticker price. Ford can have its lead in technology, and Hyundai can take the feature-loaded cake, too, with its Sonata. That’s just fine by V-Dub. When a driver is ready to give up gimmickry for true comfort in commuting, the CC will happily fill that gap with a luxuriously smooth and quiet ride, all wrapped up in a style and skin just as fitting at the opera as it is running colleagues and clients to meetings. You won’t find as much elbow room inside as in a Sonata or even a Honda Accord, and neither does its 13-cubic-foot trunk stack too highly against its competitors, but those boundaries will at least be as easy on the elbows as they are on the eyes with a soft touch and workmanship tipping a hat to bespoke makers. The same 2-liter 4-cylinder turbo still powers the Sport, R-Line and 2.0T Executive trims for 22 mpg city/31 highway with the default 6-speed shiftable automatic or 21/32 if you opt for a Sport with the manual. The 3.6-liter V6 under the hood of the 4Matic Executive is just as disappointingly inefficient as any other V6, good for 17/25 for just a half-second better time to 60 mph than the turbo’s class-leading 7.3 seconds. That V6 puts out 280 hp and 265 lb-ft/torque, compared to the turbo’s 200 hp and 207 lb-ft/torque, so the V6 should theoretically do so much better than the turbo—but this is Volkswagen we’re talking about. This company literally put diesels on the map with their turbocharger innovations in the late '70s and just recently doubled oil mileage for gas turbos. Nobody knows turbo better than the company that proudly touts “Das Turbo”—and this would be why so many drivers still beg and plead for AWD and a Dynaudio option somewhere, anywhere beyond just the V6. No such luck this year, but maybe in the next generation. Hint, hint, pretty please - with turbodiesel cherries on top, possibly? 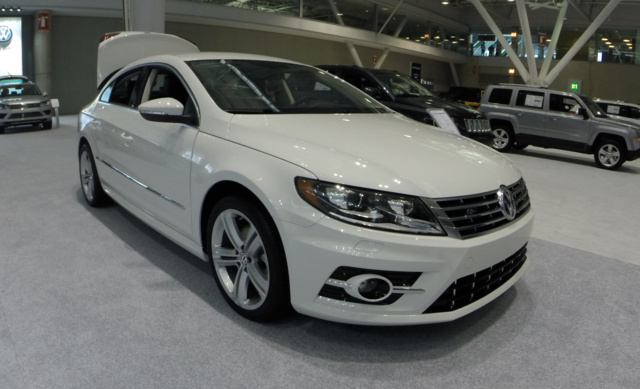 What's your take on the 2015 Volkswagen CC? Have you driven a 2015 Volkswagen CC? 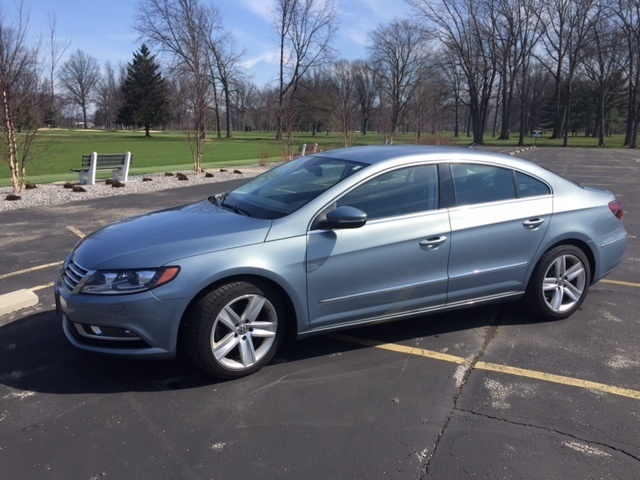 Just Bought A 2015 VW CC, What Octane Is Best? Has VW Car-Net Been A Good Enough (helpful) Feature To Keep? Car-Net is it worth keeping?